The famous author, Betty Friedan, once said: “Aging is not lost youth but a new stage of opportunity and strength.” This powerful quote not only applies to life, but to those research areas such as immuno-oncology. Mice are the go-to model for research scientists for a variety of reasons, such as size, genetic and physiological similarity to humans, and a short lifespan (Vanhorren and Libert, 2013; Shultz et al., 2014). Furthermore, it is well-understood that including the most appropriate mouse model in preclinical research is vital to obtaining translationally-relevant data. Therefore, in addition to considering the genetics of a mouse strain, researchers should also consider age to recapitulate the human tumor microenvironment accurately. 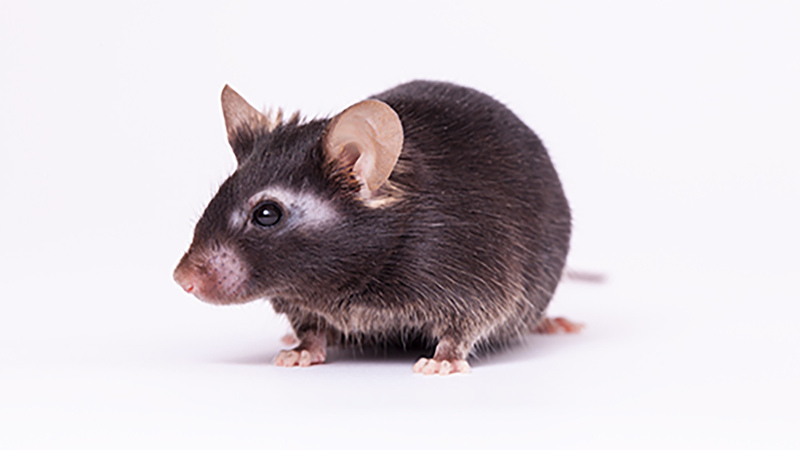 While aged mice are commonly used in aging studies, Alzheimer’s disease, and diabetes research, these models can also be included in cancer research—given that the disease predominately affects the elderly population (Bouchlaka et al., 2013). It has been shown that inbred mouse strains exhibit aging phenotypes, including declining kidney and immune cell functions, which are consistent with changes observed in aging humans (Ackert-Bicknell et al., 2015). These phenotypic changes, in conjunction with other advantages of a mouse model, makes including aged mice in cancer studies advantageous. To apply aged mice to cancer research, one could think of these mice as a type of syngeneic model. The syngeneic mouse model, also known as the allograft tumor model, consists of tumor tissues from the same genetic background as the immunocompetent mouse strain. This model type enables a practical approach for studying potential cancer therapeutics in the presence of a functioning immune system—in the case of aged mice—functioning, aged immune system. In studies, such as those published by Bouchlaka and colleagues, aged mice are being used to assess the efficacy and toxicity of potential immunotherapeutics. For their research, the authors utilized C57BL/6-TNF-KO (stock number: 005540), C57BL/6-IFNR-KO (stock No: 32045-JAX), and aged-matched controls WT-C57Bl/6J (stock number: 000664). As the average age of a cancer patient to be diagnosed and treated is 55 years of age, aged mice may more accurately model the tumor microenvironment—especially when studying toxicities. Furthermore, with a strong correlation in published literature between proinflammatory cytokine levels and pathology in aged mice, the authors examined their role in age-dependent toxicities following immunotherapy administration. They observed in both aged TNF knock-out (TNF-KO), as well as aged IFN receptor knock-out (IFNR-KO) mice that only the aged TNF-KO mice were able to survive the full therapeutic course. Moreover, only half of the IFNR-KO mice succumbed to the therapeutic by day 12 following anti-CD40/IL-2 administration. Aged TNF-KO mice also exhibited reduced serum levels of IL-6 and a significant decrease in hepatic necrosis, but increased levels of IFN-γ compared to wild-type controls. These results indicate that there is a partial involvement of the IFN-γ pathway in toxicity, but that the lethality, as well as liver damage, observed in the aged mice is more likely due to TNF. A recent study by Kugel and colleagues, published in Clinical Cancer Research, also used aged mice to examine whether the age-mediated differences in intratumoral immune populations play a role in the immunotherapeutic response. This work was stimulated by the observation that older patients had improved response to anti-PD1 therapy, as well as in old versus young mice following anti-PD1 therapy. To investigate the landscape of the immune microenvironment in this response, the authors first studied the immune infiltrate of tumors in young versus aged hosts following the transplantation of a murine melanoma tumor. Tumors from young hosts had higher percentages of regulatory T cells (Treg; CD4+CD25+FOXP3+), and older mice had an overall increase in CD8+: Treg ratio. Increased CD8+: Treg ratio correlated with improved response to therapy in both mice and human patients. When young mice were depleted of Treg’s, they showed a significantly improved response to anti-PD1 treatment. Further study is needed to fully understand age-dependent changes in Treg numbers and functions within the tumor microenvironment. JAX provides researchers with a wide variety of mouse strains to advance their preclinical research. These strains include off-the-shelf C57BL/6J males and females up to 78 weeks of age, and C57BL/6 genetically modified strains that are deficient in specific components of the immune system, express markers for tracking of syngeneic immune cells following adoptive transfer, contain alleles that allow in vivo depletion of immune subsets, or have conditional alleles enabling modification of gene expression and/or function. While the frequency of spontaneous tumors in these mice is extremely low, they are capable of engrafting B6 derived tumors for syngeneic studies.